At one time, brilliant legal minds were enough. Times have changed. Litigation has become too large, complex and expensive for brilliant legal minds alone. We find, document and deliver the story in litigation, investigations, compliance audits, and other large or complex legal matters by examining, organizing and analyzing our clients’ case-related materials – more efficiently, more accurately and less expensively than is possible using traditional legal processes. We apply structured process control, quantitative analytics, advanced technologies and professional management to transform mountains of electronically stored information into work product that our clients and their law firms can use with confidence to pursue their legal strategy. 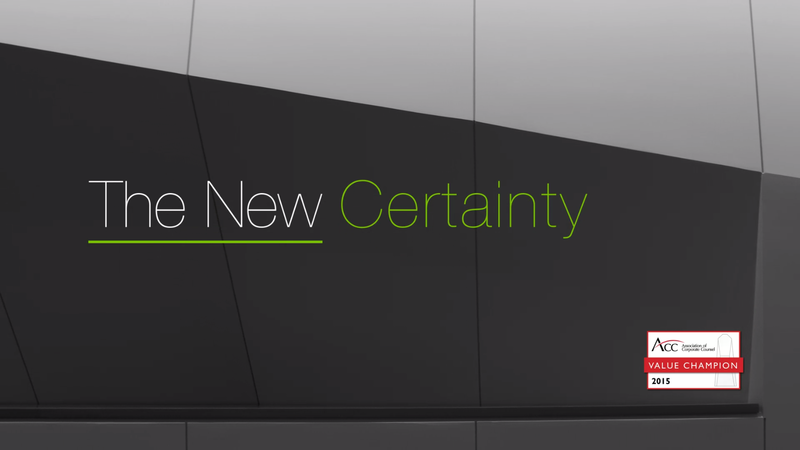 In today’s legal world, Novus Pro is The New Certainty. Our lawyers use a unique and highly-engineered process to expedite our clients’ access to critically important information faster than ever before, so they can make better decisions faster and resolve more matters sooner. Our work product includes a summary of the facts in the form of a succinct narrative, witness and key issue files, a key document library, privilege log, chronology of events, depositions and trial abstracts, and any other information that our clients and their law firms may need to pursue their legal strategy. The Novus Process™ uses Lean Manufacturing principles so our clients and their law firms find out what happened orders of magnitude sooner than with traditional legal processes. This not only increases the probability of an earlier resolution, it increases the probability of a better resolution, long before considerable time and money are spent. Consisting of three powerful tools that work together, the award-winning Novus Process™ combines best practices from the legal profession with those from manufacturing, aviation, healthcare, and business, and applies them to the legal profession for the first time. The Novus Process™ allows our clients to save approximately $4 for every $1 we receive in fees – thereby reducing overall legal operating costs by as much as 30 percent. Novus Pro won an InnovAction Award for The Novus Process (2008) and Novus Accelerate (2017), making us only the second two-time honoree. Eliminates redundancy, so there is greater focus on each important document. Clients and their law firms know their options 3X sooner. "Novus Pro creates work product right out of the box, so clients see their cases come alive three times faster than normal." Provides a near perfect work product. Virtually eliminates the risk of missing the game-changing document necessary to achieve a favorable result. "What is the value proposition for clients? Sixty percent lower cost than a traditional law firm and near perfect quality." Delivers accelerated access to strategically important information in real-time. There are fewer surprises and more opportunities to resolve matters sooner. "Novus Pro’s ability to find patterns in mountains of materials…allows clients to build novel factual theories to win cases." A complaint or anticipation of a lawsuit, a subpoena or the need for an internal investigation, or a request for information by the government, any of which require finding information in documents, is a catalyst for hiring Novus Pro. Working closely with and under the direct supervisory authority of our client’s preferred law firm, Novus Pro transforms the mountains of documents and other case-related materials processed by an eDiscovery company into the finished work product our clients and their law firms can use with confidence to pursue their legal strategy. Novus Data Reduction and Optimization Process (Novus DROP™) is a systematic and auditable approach to reduce significantly and defensibly the volume of documents that our firm and others have to read. It uses advanced technologies, including natural language processing, latent semantic indexing and other concept and content categorization tools, and quantitative analytics, including the science of statistics, to cull methodically large volumes of documents. Consisting of three powerful and fully integrated tools that work together, The Novus Process™ is measurably faster, better and less expensive than traditional legal processes. Using the process-reengineering principles of Lean Manufacturing, Novus One-Touch™ fully processes individual documents in a single step, thereby eliminating the mistakes, time and costs associated with the redundancies inherent in traditional legal processes. Using the quantitative analytics of Six Sigma to eliminate mistakes and make the process of finding the story measurably more accurate, Novus Q™ consistently results in work product that is more than 99.9 percent accurate. Using the science of collective intelligence, sometimes referred to as the wisdom of crowds, Novus C3™ is an Internet-based, matter-specific technology application in which our clients, their law firms and our legal professionals all work together to communicate, collaborate and control matters. The Novus Certified Organization of Relevant Evidence (Novus CORE™) includes witness and key issue files, libraries of key documents with a written summary of each document, and a summary description of the facts in the form of a succinct narrative. It also includes a chronology of events; a privilege log; deposition and trial abstracts; documents categorized by relevance, privilege and other subjective criteria; and whatever other document-related work product our clients and their law firms may need to pursue their legal strategy. Using what we learn as we prepare the Novus CORE, Novus nMotion™ is a seamless extension of our work to prepare motions, briefs and discovery responses. As we prepare the Novus CORE™, our client has 100% transparency into the process and preparation of our work product, which allows them to understand and participate more fully in the strategic direction of their matters. Our client’s preferred law firm sees our entire work product as it is prepared in real-time, which provides them with significantly more opportunities early on to hone their strategy and improve the probability of a successful result for the client. Novus Pro works with our clients and their law firms throughout – answering questions, finding and organizing additional evidence, and when necessary, even going to mediations, arbitrations or court to help them execute their legal strategy. Throughout a matter and until the very end, whether it’s months or years, Novus Pro is by our clients’ and their law firms’ side to help deliver measurably better results with The Novus Process™. By promising fixed fees, measurable accuracy and the timely delivery of our work product, Novus Pro gives you a precious asset - The New Certainty that allows you to pursue your legal strategy with confidence.